Physical, electronic and managerial procedures have been employed to safeguard the security and integrity of personal information. Financial information is encrypted whenever transmitted or received online. Personal information is accessible only by staff designated to handle online donations or requests for information. All Cornerstone staff members with access to personal information obtained on this web site are also bound to adhere to this policy. Cornerstone collects no personal information unless you subscribe to our newsletter or make online donations. In those situations, the following types of personal information, provided by you are collected: names, postal and e-mail addresses, phone number. 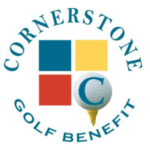 Cornerstone’s forms are hosted by Adams Networks, Inc. Online donations are made through our partners including PayPal, Network for Good and Mercantile Bank. These partners maintain their own privacy policies. Cornerstone does not collect or maintain information from those actually known to be under the age of 13, and no part of our site is structured to attract anyone under the age of 13. Cornerstone will not use your personal information other than for the purpose for which it was submitted without your consent. We use personal information to reply to inquiries and respond to complaints if necessary. If you request to be added to our newsletter mail list, you may remove your name at any time by contacting us at info@cornerstone-quincy.org. your communication suggests possible harm to yourself or others. If your personal information changes or you would like to review the personal information we may have, please email us with the new information or your review request at info@cornerstone-quincy.org. Our web site is not set up to track, collect or distribute personal information entered by its visitors. Our site logs do generate certain kinds of non-identifying site usage data, such as the number of hits and visits to our site. This information is used for internal purposes by our staff to provide better services to site visitors. Non-identifying site usage data may also be provided to others, but again, the statistics contain no personal information and cannot be used to gather such information. A cookie is a small amount of data that is sent to your browser from a Web server and stored on your computer’s hard drive. Cornerstone may use non-identifying cookies to provide easier site navigation and access to forms. You can still use Cornerstone’s site if your browser is set to reject cookies. Our cookies do not generate personal data, do not read personal data from your machine and are never tied to anything that could be used to identify you. Your health record contains personal information about you and your health. This information about you that may identify you and that relates to your past, present or future physical or mental health or condition and related health care services is referred to as Protected Health Information (“PHI”). This Notice of Privacy Practices describes how we may use and disclose your PHI in accordance with applicable law, including the Health Insurance Portability and Accountability Act (“HIPAA”), regulations promulgated under HIPAA including the HIPAA Privacy and Security Rules, and the codes of ethics for our professions. It also describes your rights regarding how you may gain access to and control your PHI. We are required by law to maintain the privacy of PHI and to provide you with notice of our legal duties and privacy practices with respect to PHI. We are required to abide by the terms of this Notice of Privacy Practices. We reserve the right to change the terms of our Notice of Privacy Practices at any time. Any new Notice of Privacy Practices will be effective for all PHI that we maintain at that time. We will provide you with a copy of the revised Notice of Privacy Practices by posting a copy on our website, sending a copy to you in the mail upon request or providing one to you at your next appointment. As licensed clinicians this state, it is our practice to adhere to more stringent privacy requirements as dictated by the standards of practice and code of ethics of our profession for disclosures without an authorization. The following language addresses these categories to the extent consistent with these ethical codes and HIPAA. Child or Elder Abuse or Neglect. We may disclose your PHI to a state or local agency that is authorized by law to receive reports of child abuse or neglect. You have the following rights regarding PHI we maintain about you. To exercise any of these rights, please submit your request in writing to our Privacy Officer, Chris Parker, MS Ed., LCPC, NCC, Cornerstone Foundations for Families, 915 Vermont, Quincy, IL 62301. Right to Amend. If you feel that the PHI we have about you is incorrect or incomplete, you may ask us to amend the information although we are not required to agree to the amendment. If we deny your request for amendment, you have the right to file a statement of disagreement with us. We may prepare a rebuttal to your statement and will provide you with a copy. Please contact the Privacy Officer identified above if you have any questions. Choose Someone to Act for You. If you have given someone medical power of attorney or if someone is your legal guardian that person can exercise your rights and make choices about your health care. We will make sure the person has this authority and can act for you before we take any action.